A poem by Lynda McKinney Lambert: "Book of Remembrance in Lidice"
Lynda McKinney Lambert is the author of “Concerti: Psalms for the Pilgrimage” published by Kota Press. It is a book of poetry and short essays Lynda wrote over several years while spending her summers in Salzburg, Austria where she taught a course in writing and art each summer. 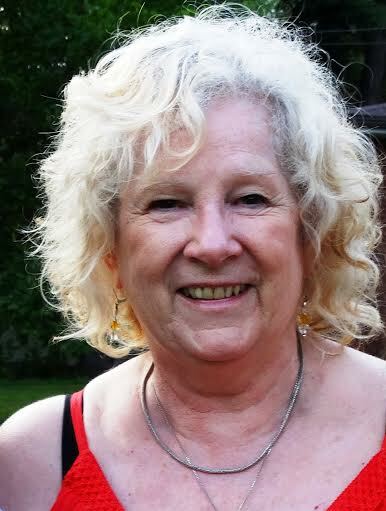 She is a retired professor of fine arts and humanities from Geneva College in western Pennsylvania. Lynda currently authors two blogs on writing, the humanities, art, and faith. She is a freelance writer and her poetry and essays appear in numerous books and literary journals. Lynda lives with her husband Bob in the Village of Wurtemburg in Western Pennsylvania. They have been married for 55 years. Lynda divides her time between writing and making mixed-media fiber art in her River Road Studio. on a corner of the lace scallop. where chicory frolics with the grass. beneath the silent pine tree. Zum Gedenhen an die millionen kinder, Die Dem 11. Weltkrieg zum opfer gefallen sind. Lambert writes: When I wrote my book, Concerti: Psalms for the Pilgrimage, I included a short historical note about Lidice, Czechoslovakia, to accompany the poem, “Book of Remembrance in Lidice.” Below, I have put those two pieces into this submission for consideration for the July “Freedom” theme. Each time I think of the word, FREEDOM, my mind drifts back to many summer days when I took my college students there for the day. In our visits during July every summer, my young adult students learned first-hand about past events in this small, quiet village. 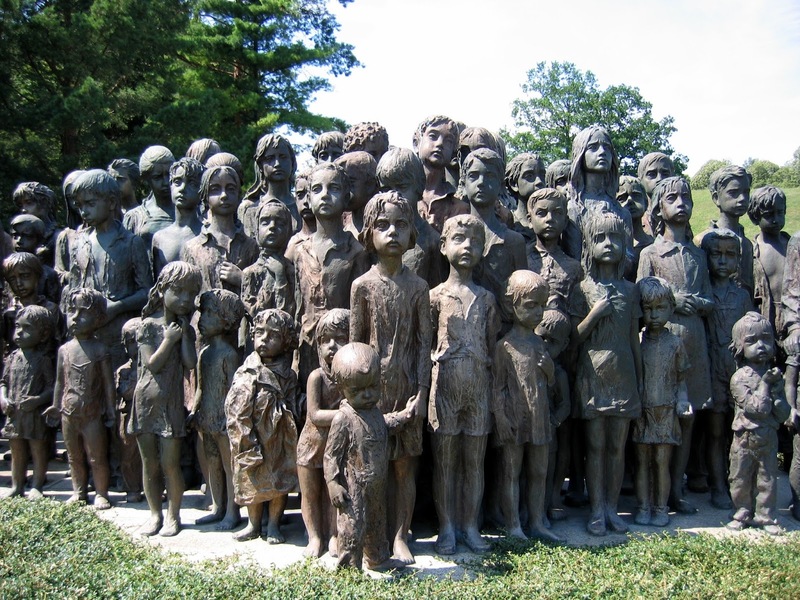 Most people have never heard of Lidice. The students could see how past events changed the lives of people who lived in this village in just a day’s time. The enemies of freedom throughout the history of our human experience have committed senseless acts of violence against ordinary everyday citizens. Freedom is not permanent; it can be taken away from an entire nation and Lidice is just one small example of this fact. On June 9, 1942 the village of Lidice had 102 houses and 493 residents. The oldest woman was 88 years. The youngest infant was 2 weeks. There were 14 farms and a mill in the village. Lidice was leveled to the ground. Today, there are 82 bronze sculptures of the children who died. Note: Preciously published in Concerti: Psalms for the Pilgrimage by Lynda Lambert. Kota Press.